Bit by bit traditional advertising like TV and newspapers are replaced by new ones such as mobile and video. And on top of that, a new generation of consumers are rising and they simply won’t accept being interrupted. That means those responsible for spreading the word about products or services are going to have to work more innovative to accomplish their goals. AI in ads = Precision and cost effectiveness! The massage made to fit the viewer is the flavor of the day for a while now. For years, advertisers have been looking for ways to ensure that their message is really hitting its mark. Enters Artificial intelligence, machine learning, and its associated technologies! AI helps eliminate guesswork in targeted advertising. With access to relevant information about a group or even an individual, advertisers can ensure that ineffective messages that work against a brand’s positioning, don’t get through. In addition, AI will lead to a major upgrade in programmatic advertising. A powerful tool for optimizing campaigns already, programmatic advertising will get even more accurate, targeting audiences, verticals, and customers with far greater precision and cost-effectiveness. Since the dawn of media, content has been a major focus for advertisers. After nearly a decade of social media as a constant in our lives, consumers have come to expect blog posts, videos, social media updates, and other authentic content when engaging with a brand. Now that everyone is “doing” content, you need to do it better in order to stand out. AI can help build a better content strategy. By better targeting audiences, companies can more effectively hone their stories, blog posts, videos to tailor fit and engage their users for a longer period. Generation Z, the group born roughly between 1995 and 2015, will become the biggest population segment in the world in 2019. One thing this group likes to do is watch videos, the average person in this particular group watches about 68 videos a day. That means that video is going to be an even more important advertising channel in the years to come. An even more effective way of using video is to enable them to participate in creating those videos. According to a recent study, Gen Z is very creative and tends to trust their own group over others. Enabling them to creatively engage with a brand could go a long way to getting them on board and enable your brand to better harness the power of sharing. According to estimates before the holiday season, there were about 50 million Echos and Google Homes out there. And by the end of the year, there are likely to be millions more. It’s too tempting of a market for Amazon and Google to ignore. And while there have been some outright ads on all the platforms, is likely to see a more sophisticated approach this year, such as partnerships with brands that will allow for organic use of the devices, peppered with ads directing consumers to specific products or services. Thanks to GDPR, online advertising is set to undergo major changes. The “right to be forgotten” means that companies can’t collect information about people without their explicit consent. 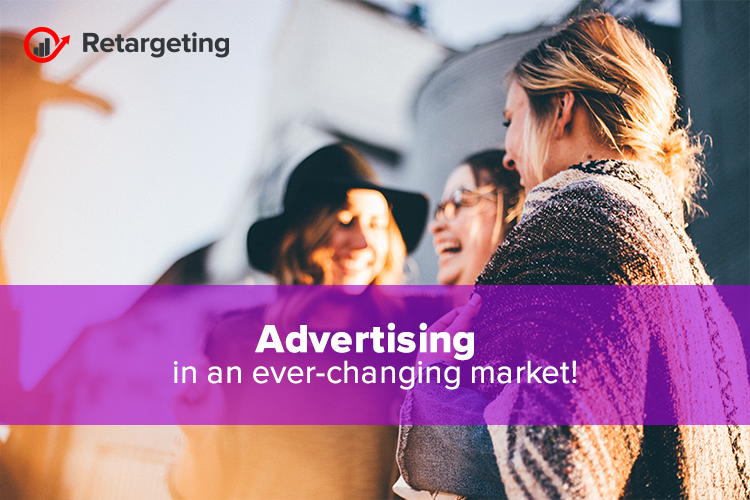 How can companies run targeted advertising campaigns without personalized data? The answer is contextual advertising: determining the characteristics of a target audience based on the content of the web pages they visit. General data about the interests of visitors to that page gives advertisers a clear context of how to appeal to those visitors. With legislators in the United States considering adopting rules similar to those of GDPR, the importance of context to advertisers is likely to grow. The challenges for advertisers have never been greater; to reach audiences, you have to “micromanage” the message and use new and innovative ways to get the message across. Voice search is the future! Start optimizing!